Is Raw Honey Safe For Children? Are you a parent wanting to instil healthy eating habits in your child and feed them well? Lots of questions come up when it comes to giving children honey or not. Here are some things to consider to help inform your parenting decisions. Back though history and across cultures, babies were given a taste of honey after they were born. Bee Wilson writes in the book The Hive: the story of the honeybee and us, that honey was given to children for energy. In Germany it was believed that smearing honey on a child's lips was what made it fully alive. During the US Depression, honey was used by public health officials to bring undernourished infants back to good health by giving it to them on a daily basis. Giving a herbal honey-based concoction called ghutti to babies is a tradition among Asian communities. That was then, but in 1978 honey became a concern for infants when a very rare syndrome called infant botulism was diagnosed for the first time in sick babies, when traces of botulism spores were found in their stools in California. Infant botulism (clostridium botulinum) while still nasty, is much less extreme than adult botulism and is extremely rare (in the UK, there have been only 11 confirmed cases of infant botulism in the past 30 years). Why should babies not eat honey? According to the World Health Organization honey should not be given to infants under the age of 12 months or added to food, water or formula. It also applies to honey in baked or processed goods. Once a toddler reaches 1 year of age, their digestive system is usually mature enough to kill any botulism germs. The spores themselves are not harmful because they are in a dormant or inactive state. In adults, the spores do not survive the acidity of the stomach and the presence of beneficial organisms that destroy the spores. That is not so with babies. Their digestive tracts are still immature, designed only to digest their mother’s milk. In the infant’s gut, the spores can grow into bacteria, and as they do so, they produce the toxin that causes botulism. Clostridium bacteria are very common in our environment with only a small percentage of infant botulism cases being linked to honey. What age can your child start eating honey? The most critical risk of contracting infant botulism is for a baby under 6 months. The amount of botulism spores in raw honey is negligible and developed digestive systems are strong enough to cope with this. Once an infant reaches the age of 1 year or older, their intestines have matured to contain this balance of acids that help destroy and fight off any toxins that the botulism bacteria produce. Once a child does reach 1 year of age and can eat and enjoy delicious raw honey don't overdo it. It's worth remembering that raw honey is a sweetener so can affect developing teeth. If in doubt, check with your paediatrician before offering sweeteners as part of your child’s diet. We are all exposed to spores causing botulism which are widespread in soil, dust and other natural environments such as pond and river sediment. A rare disturbance of the infant gut flora, is thought to allow the spores to flourish and produce toxins. For most cases of infantile botulism, the source of spores is never identified and it is assumed that they are swallowed from the environment. Honey has been proved to be a source of spores which is why it is best avoided until the child's delicate digestive system has become sufficiently robust. Other liquid sweeteners, like molasses and corn syrup, may also carry a risk for botulism. Is commercial honey safer for babies than raw honey? Commercial honey is treated with heat, called flash pasteurisation, and often passed through micro-filters. And while it kills lots of the natural elements within the honey this is not done for health reasons but to make a smoother product and stop the honey from crystallising or going cloudy. This does not kill any botulism spores so raw honey and commercial honey are exactly the same in this respect. These process do, however, remove beneficial nutrients like pollen, enzymes and antioxidants which remain present in raw honey. Is it safe to eat raw honey during pregnancy? While it isn't advised to feed honey to very small babies, healthy adults are not at risk of botulism from raw honey, even during pregnancy. As mentioned earlier, commercial honey is pasteurised for appearance and consistency but this is not the same as pasteurisation in milk products and unpasteurized or raw honey doesn't carry any risk of listeria. Is raw honey a better alternative to sugar for children? White sugar, is the over-processed, end-result of sugar cane stripped of all its nutrients and is now among the top three ingredients in nearly all packaged foods. Anyone who has seen a toddler on sugar will attest to the swings in mood and energy levels. With growing concerns about childhood obesity, raw honey can be used as an alternative. It has a lower GI value than sugar so it doesn’t raise blood sugar levels as quickly. Honey is sweeter than sugar, so you need less of it, but it does have slightly more calories per teaspoon so it's wise to keep a close eye on portion sizes. Research is still being done in this area but some sufferers of allergies have reported that taking a spoon of raw honey every day has relieved their symptoms (similar to how allergy shots work). At present there is no scientific proof that eating local raw honey will improve seasonal allergies, just anecdotal evidence. Also, some suggest it is better to try bee pollen on its own. If your child is a sufferer consult a paediatrician first and try tiny amounts to test and see how the body responds. Relieve coughs & colds. A spoonful of honey coats the throat and can give relief to children from cough and cold symptoms. Its a natural remedy and alternative to over the counter cough syrups and medicines. Promote a healthy digestive system. Raw honey is believed to destroy certain gut bacteria, making it an effective treatment for upset stomach, gas, indigestion, diarrhoea and constipation. This is another reason to add raw honey to your toddler’s diet. Help heal wounds faster. 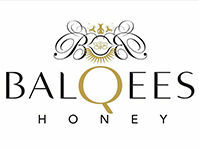 Raw honey carries anti-bacterial and anti-fungal properties so is a natural healing agent for cuts, abrasions and burns. Administer topically to the affected area and you can also dab onto pimples and even acne. A high-grade, medicinal raw honey or Manuka has been known to help cases of eczema. Natural multivitamin. In order for children to grow and develop both physically and mentally they need a well-balanced healthy diet. Raw honey is a natural source of multivitamins and essential nutrients to help bones, muscles and cognitive thinking. Raw honey is known to contain amino acids, minerals including iron, zinc, potassium calcium, magnesium and selenium. Vitamins include B6, thiamin, riboflavin and niacin. Strengthen immune system. Raw honey helps stimulate the production of immune cells in the body keeping the immune system healthy & strong. Its antibacterial and antioxidant properties help fight against germs and bacteria, helping keep those bugs at bay. Always make sure you give your child raw honey, rather than treated commercial honey where heat and filters destroy the natural goodness. This way you retain the antioxidants, vitamins and minerals within it. Cooking with children and exploring ingredients is a great way for children and parents to bond and spend some quality time together. Preparing food, baking, cooking can help your child develop motor skills in the kitchen and build a positive connection with healthy, tasty food. Raw honey with yogurt and natural nut butter with crunchy sliced apple. Raw honey tortilla wedges. Mix 2 teaspoons of water into honey to loosen it. Place tortilla wedges on baking sheet, brush with honey and sprinkle with sesame seeds. Bake at 180C (350F), for about 15-18 minutes, until golden-brown and crisp. Serve with Greek yogurt and hummus and an extra drizzle of raw honey. Raw honey seed balls. Mix 125ml (1/2 cup) raw tahini, 2 tablespoons of raw cacao powder, 2 tablespoons of raw honey and 1 teaspoon of real vanilla extract together in a bowl. Roll into little balls and then roll the balls in sesame seeds and raw cacao powder. Store in the refrigerator or freezer. Do you use raw honey in your children's diet?